At Adirondack Piano Services we aim to provide you with tried and trusted resources. On this page you will find our list of the top-rated piano tools out there! This six-piece set from Ecloud will have your piano tuning days made a whole lot easier. The set includes a tuning hammer, four mutes, a temperament strip and a handy carrier bag. 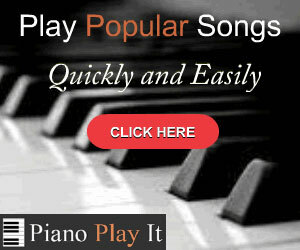 Now you can easily tune your piano without a hassle. Effortlessly mute strings with the temperament strip and make sure every note is tuned perfectly for optimal playing experience. We love this nine-piece piano tuner toolkit from YaeTek! The set includes three rubber wedge mutes, one lever wrench hammer, one felt mute, one mute clamp, one temperament strip and one rubber mute. The kit is compatible with just about any size piano out there. The high-quality one lever wrench hammer is flexible and has a star tip to ensure you can easily tune your piano at any time. Described as an ideal kit for apprentices looking to learn how to repair and tune pianos, the Schaff piano tuner kit is great for beginners and pros alike. The kit includes a temperament strip, tuning lever and four rubber mutes. The comprehensive guide included in the kit will ensure you can get the job done and your piano tuned without a hassle. This incredible ten-piece kit from UMsky has loads to offer novice tuners and professionals alike. The kit holds one wrench, two rubber mutes, a temperament strip, a hammer, awl, damper stick, one duck-mouth hammer, velvet bag, carry case, and also a tone tuning fork. Whether you want to become a professional piano tuner or need to tune your piano, this kit will make sure the job is done expertly. Be sure to keep your eyes peeled for updates to this page as we regularly test and review new products available on the market.